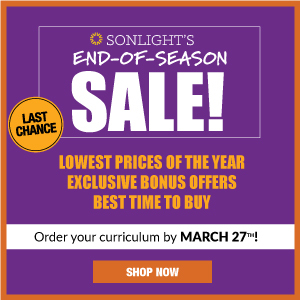 I read this article and wanted to share it with you: Sonlight's 2018 Photo Contest Winners https://blog.sonlight.com/2018-photo-contest-winners.html. 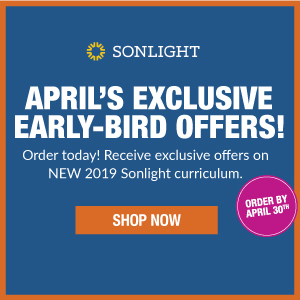 At Sonlight, we love featuring real photos and stories from Sonlight families on the website, in our catalog, and on social media. 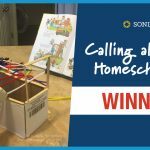 Your homeschool moments are truly inspiring to the staff here at Sonlight as well as to the entire community of Sonlighters. 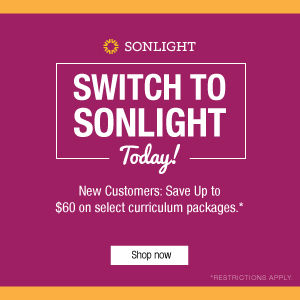 Congratulations to Sonlight's Annual Photo Contest Winners! 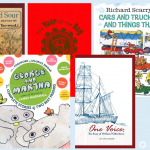 Thank you so much to everyone who submitted photos and stories in the Annual Photo Contest. The three winning photos have been selected! 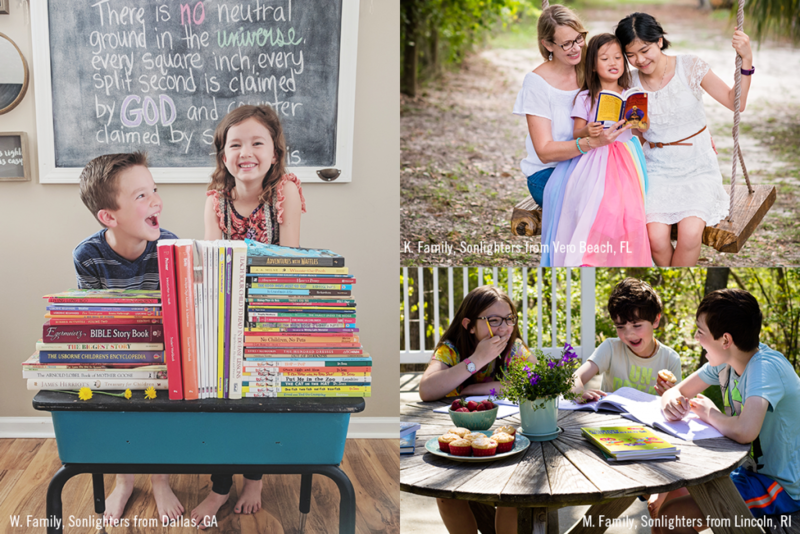 Each winning family featured below (in no particular order) will receive a $500 gift card to purchase more Sonlight curriculum. 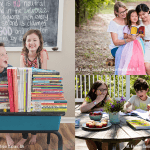 One family will be featured on the cover of a Sonlight Catalog. 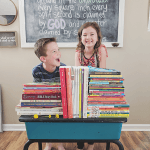 In this photo Charlie (8) and Millie (6) are thrilled to share their “end of the year, look at all we've accomplished” moment, also called a #sonlightstack. 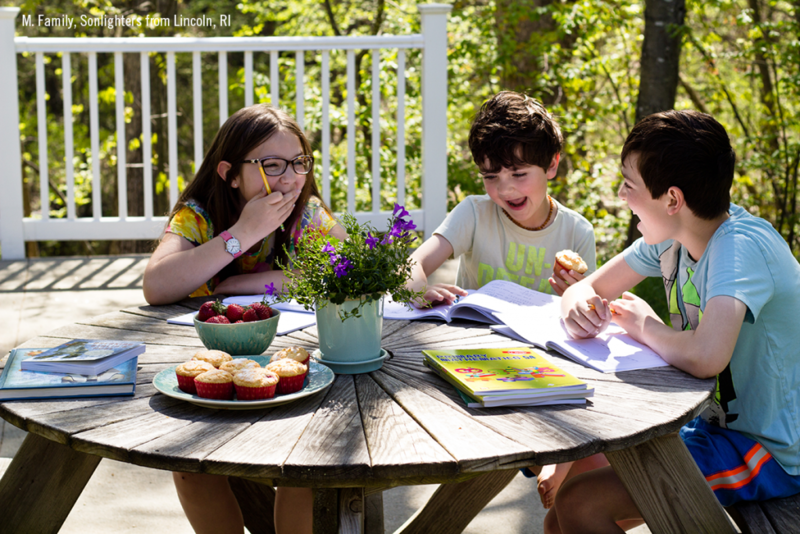 In Altagail's winning photo, Lily (9, PreK-HBL F), Gracin (7, PreK-HBL C), and Austin (11, PreK-HBL F) take advantage of a sunny day to homeschool outside. 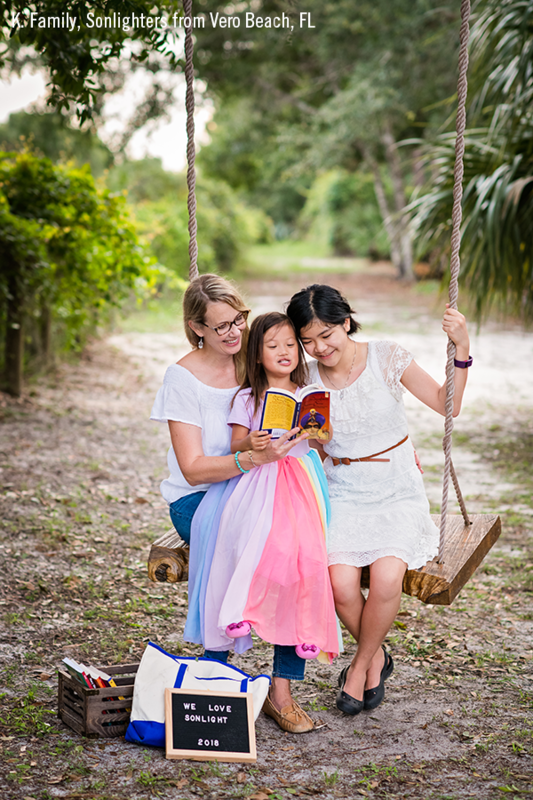 In this photo, Sennu (Mom), Mae (4, not yet homeschooling) and Abby (12, HBL F) celebrate Abby's last day of sixth grade. Thanks again for making this year's contest a success. 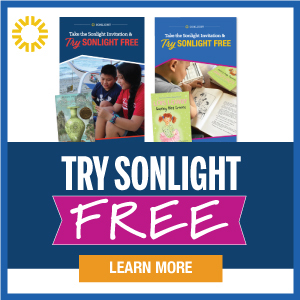 Keep sharing your #sonlightstories year-round! We love your Box Day photos, your day to day experiences, and the end-of-the-year #sonlightstack shots of all you've accomplished. We vote for the ‘Sonlight Stack’ with Charlie and Millie as the front cover! 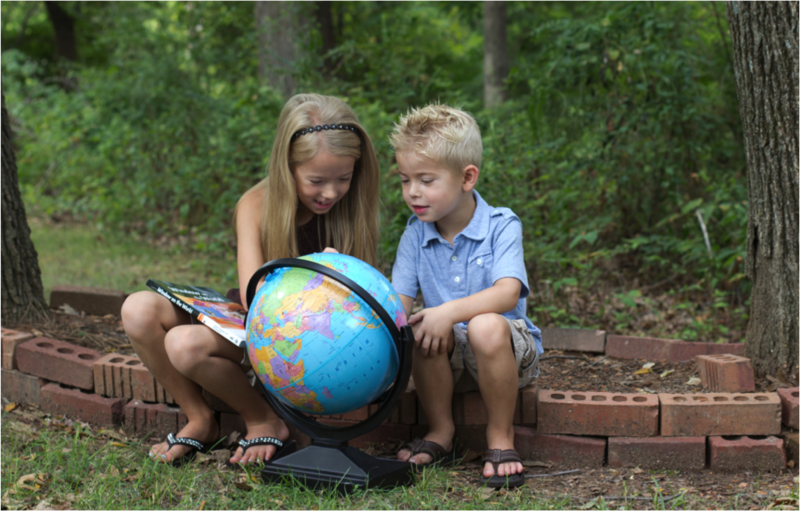 Genuinely spur of the moment photos truly are the best and most encouraging to other homeschooling families. The breakfast outside is so real and true too, what a beautiful moment. 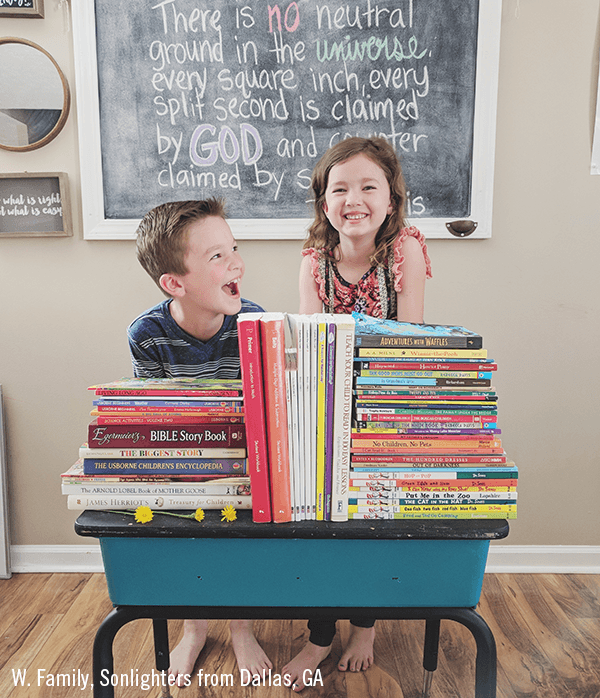 The three siblings definitely captured what we personally love about Sonlight and mornings we ourselves have enjoyed together surrounded by amazing books. 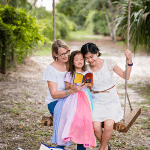 The adorable girls with Mom on the swing is lovely but maybe a little too planned? Definitely a perfect cover but who’s homeschool is picture perfect? I hope spontaneity is rewarded with the cover. Congratulations to all the families and Moms and Dad on their hard work!